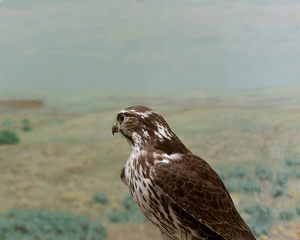 In the bodies of work, Another Death and Glass Eyes Staring Yonder, I use photography to contemplate the cultural role of taxidermy and the meaning of this form of looking at animals after their death. 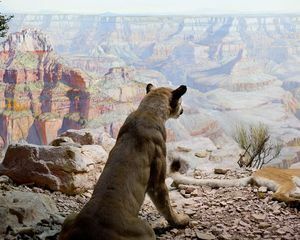 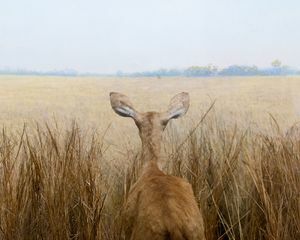 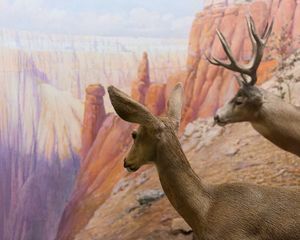 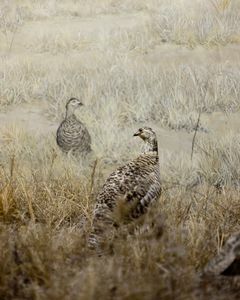 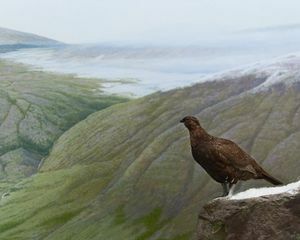 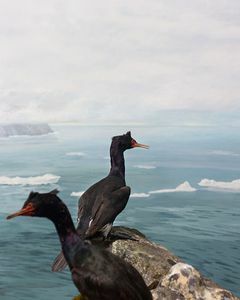 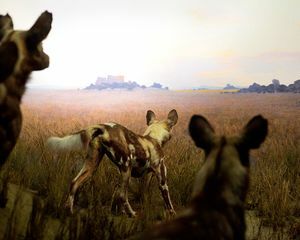 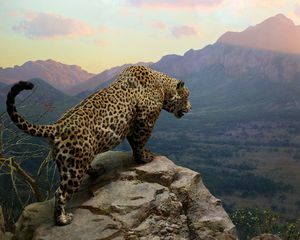 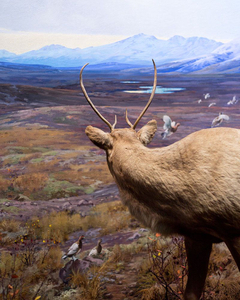 By capturing the bizarre representation of animals, although already dead, in the throes of death and taxidermy pieces in their museum dioramas "looking out" into fantastically painted backgrounds, I question the purpose of both creating taxidermy and photographing it. 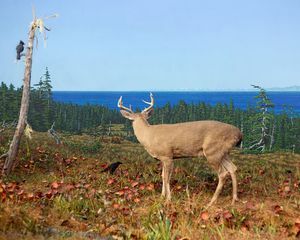 Photographing a taxidermy piece created to represent a dead animal (a twice removal, a version of a version of a creature or a scene) and calling attention to the physical boundaries of a diorama that was intended to be an illusion symbolize the distant, limited experience we have of animals today. 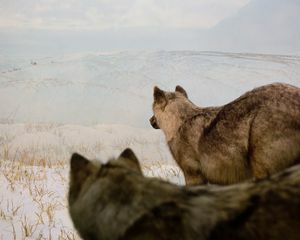 A shift is beginning to take place as young people visiting educational institutions find virtual representations and interactive screens more engaging than traditional displays such as taxidermy and dioramas. 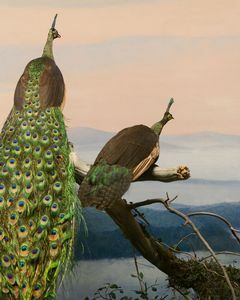 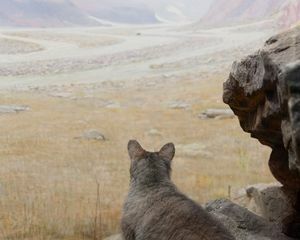 The death, despondence, and sense of removal and foreboding in my photographs reflect on these same qualities on the subject of taxidermy's future in a changing world, a world in which what is considered a "real" experience with animals is certainly transforming.